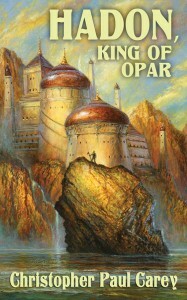 Meteor House » Hadon, King of Opar Ebook Now Available! Hadon, King of Opar Ebook Now Available! Our ebook library is growing as Hadon, King of Opar is now available on the Kindle (with the Nook coming soon)! Note that both the paperback and hardcover limited editions of Hadon, King of Opar are SOLD OUT. So a reminder that you should grab a paperback or hardcover limited edition of Blood of Ancient Opar while you can. Comments Off on Hadon, King of Opar Ebook Now Available!